#DinnerForCarlisle: Let's Eat For A Cause! Official event poster made by Kcat Yarza. This is it! 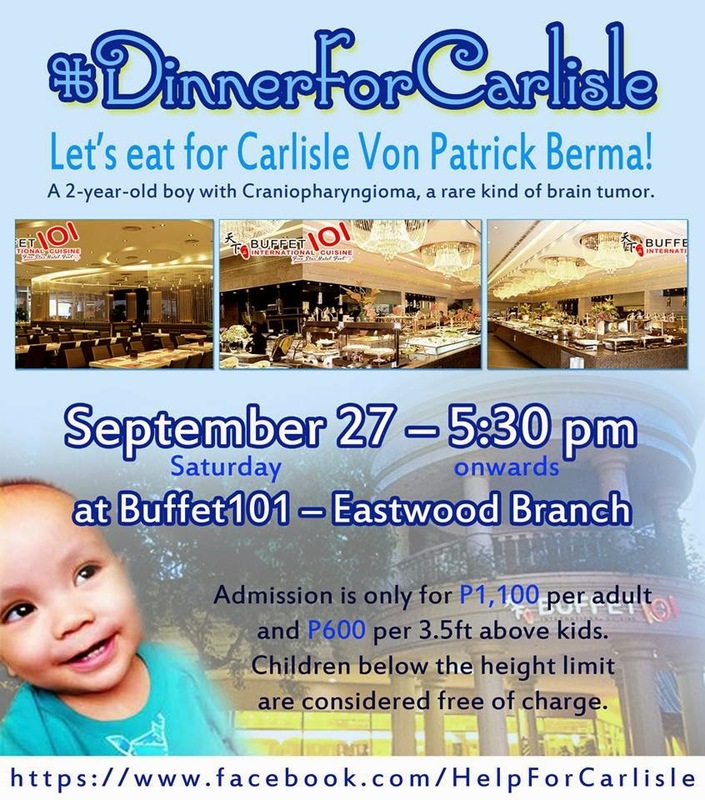 Tomorrow, September 27, 2014, our latest fundraising event for Carlisle will be held at Buffet 101 Eastwood branch. Thanks to the Lord that the management allowed us to hold our event at their place. Too tired of the usual bazaars that happened in the past few months? Then I would say you should not miss this year’s Lifestyle Bazaar this November! Make It Up With Lulu Make-up and Donnarence! Got nothing to do this weekend? 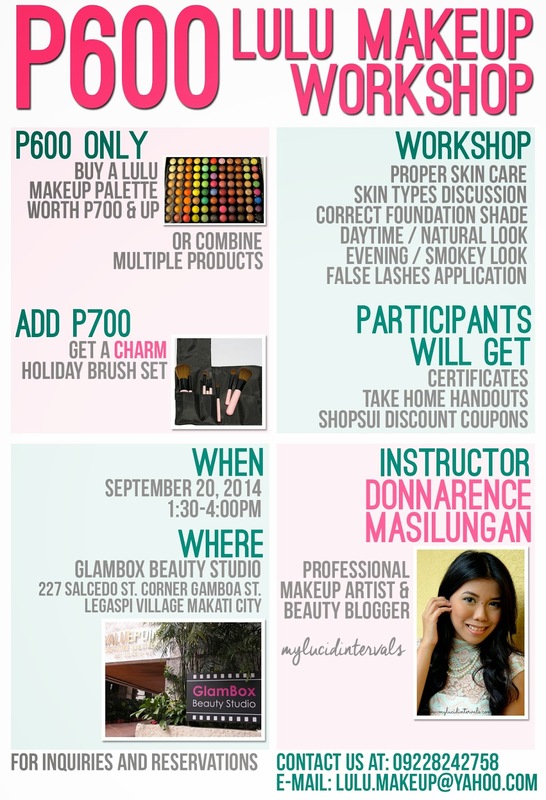 Get some fresh air and go for a make-up workshop this coming Saturday, September 20th, courtesy of LuLu makeup with a fellow blogger, Donnarence Masilungan of MyLucidIntervals! The Warrior Mom is quarter of a decade now! Being at this point of my life, I learned so much things which helped me keep sane and not commit anything bad. Lol! 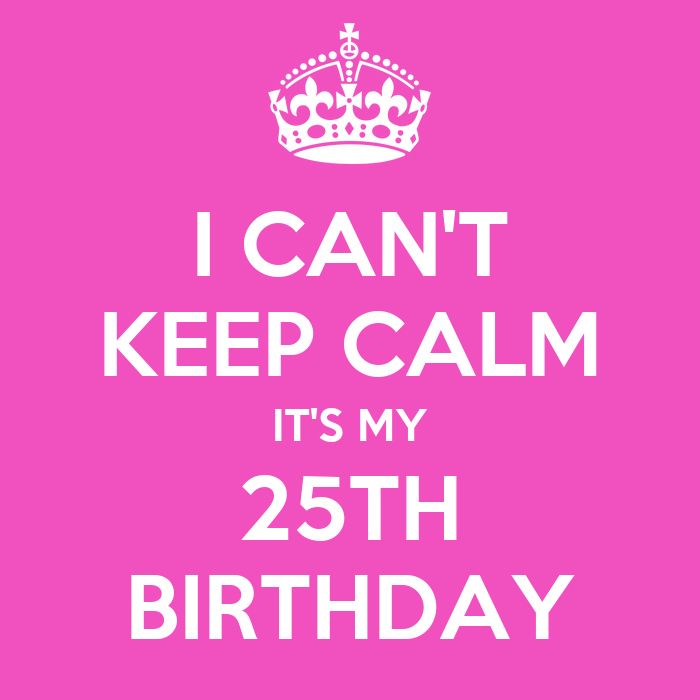 According to Evelyn Lauer, twenty five is when things start to change and begin to turn over. Here are some of the things that I realized on my 25-year stay on Earth. Social media has been one of the perfect ways to share your business and make it popular. It has been closely as effective as word of mouth, which is almost the same because most people spend their time in front of their computers, logged in to their social media accounts, whether it be for personal or business use. Sleep plays a very vital role in everyone's life and health in particular. Getting enough sleep enhances everything in us - from our mental to physical capacity. Once you get a decent sleep, for sure, you'll survive for the day with extra energy for other activities.